Thanks for mentioning that people should just leave you alone about any upcoming book will be published. It’s just plain rude! I think in the time of instant gratification, people have forgotten how to be patient. I’ve taken a break after reading them all at least three times, and have enjoyed reading other books your recommend. (I’ve now fallen for Inspector Gamache!) I’ll look forward to reading anything you write when it’s published, and in the meantime, I’ll anticipate discovering new books to enjoy. Thank you for your work, however long it takes. 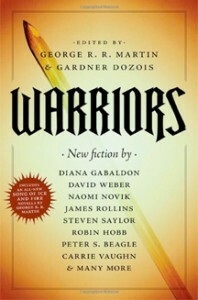 Diana, if people bug you about when the next Outlander book is coming out, it’s only because we really love your books! So, please forgive us our impatience, as we would probably not love them as much if you didn’t do all the research! 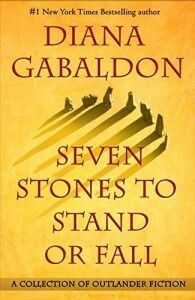 I am loving the Outlander series, by the way! The costumes, make-up, special effects, scenery and settings are awesome, but the cast is amazing! Canceled my house phone service so I can afford to have cable, just to watch this series! The next book will be snatched up and read within days of being published, then another longish wait till the next…sigh. It must be quite a burden, knowing people actually change their lives for your books! Be blessed and don’t let us rush you! Your books are worth waiting for, and typically the first I recommend to anyone looking for a new series to read! I believe that digital books are to blame for your reader’s insistence. I remember when it was typical to have to wait a year or two for an author to release a book. It seems since digital books have become so popular that the instant gratification factor for the fans has grown as well. Think about it. No driving to the book store, waiting in line, or hoping that they won’t be sold out. Furthermore, there are MANY authors who are now producing a book every few months or so. I am impatient for Go Tell the Bees That I Am Gone, but I truly appreciate the time and effort you are putting into it. The history that is heavily woven into your stories is intriguing and on point. I’d rather have your rich words than a quick, significantly less detailed tale on any given day. Sounds so cool! Something to look forward to. But I am curious as to how your story about Mr. Raymond is coming along? Will it be novella or a stand alone novel?? Well, he’s a prehistoric time traveler. I think he came from somewhere about 400 B.C. or perhaps a bit earlier (not technically “prehistoric,” but they certainly weren’t using written records where he started out), and the 18th century is not his first stop. He is—or was—a shaman, born with the ability to heal through empathy. He sees auras plainly; those with his power all have the blue light he has—born warriors, on the other hand, are red (so yes, “the red man” is iconic). He has a rather strong aversion to Vikings, owing to events that happened in his own time; hence his nervousness when he sees Jamie. He’s afraid of them, but he also realizes just what a strong life-force they have—that’s why he makes Claire invoke it (using the sexual and emotional link between her and Jamie) to heal her. His descendants—a few of whom he meets now and then in his travels—have the blue light about them, too; in large degree or small, depending on their talents. So he knows Claire, when he sees her, as one of his great-great, etc. grand-daughters. And Gillian/Geillis is another—you notice she has Claire’s sense of plants, though she tends naturally to poison, rather than medicines. We’ll see him again—though not in Jamie and Claire’s story, I don’t think. Master Raymond should get his own series of books, eventually. So in fact, we’ll see Claire, Jamie, and Geillis again, then—but as secondary characters in Master Raymond’s story (you recall, Geillis mentions having met “one other” (time-traveler) in VOYAGER, but doesn’t tell Claire who it is). I am anxious to read about Master Raymond. He’s such a marvelous person (not “character” as all of your “characters” are truly people in their own right). Thank you for your generosity in sharing them with us. I can wait for however long it takes. I am happy you are taking time to give us readers a story we can enjoy and remember. Thanks for being true to yourself and to us. Other than through new book? Yes, but not immediately. The earlier stories are already (in the US) available as single ebooks, and I’m sure FUGITIVE GREEN and BESIEGED will also be released in that form eventually–but probably not for 6-12 months after release of the hardcover. Hope you enjoy them when you get them, in whatever form! Love, Love, Love all of the outlander books! Especially because they are so full of interesting descriptions of everything! They paint a fascinating picture in the mind’s eye. You feel almost like you are there and that you really personally know the characters. Thank you so much for your wonderful work and keep them coming however long they may take! People love your stories Diana and are very excited to read the next instalment. Would you rather they weren’t and had no interest when the next Book was due to be published? Or even be interested enough to buy it? If you don’t want to be asked for a date don’t have the facility to do so. Also remember when you’re flying round the world signing books for your fans. It was them buying your books that enable you to have the money to do so. I will wait with great anticipation. I enjoy all your historic research. I live in upstate NY, near Saratoga and Ft Ticonderoga. Love the characters. Just started reading them this year. Recovering from car accident and taking care of aging parents. Helps to escape into good book. My life problems pale in comparison to Claire and Jaime’s. Thanks for the great escape into to the stories! Love your books. Sooo disappointed that Go Tell the Bees that I am Gone will not be out anytime soon but do understand just how long it takes to write these wonderful books. Just a bit annoyed that I have to buy a book that includes four stories previously published (The Custom of the Army, The Space Between, Lord John and the Plague of Zombies, A Leaf on the Wind of All Hallows – published in A Trail of Fire) plus one that I had already read (Virgins) in order to get the two new stories. Well, you can wait for another year or so. [g] Once SEVEN STONES has been out for awhile, the new stories will probably be available as single e-books, just as the older ones are (in the US). My husband died 10 years ago from Cancer. We both discovered your books and really loved them a lot! He died before your last several books were written but I know how much he would have enjoyed all of them and would have looked forward to the rest of the books in your series! I am keeping him with me through your stories. Thank you so much for this! I’m so sorry to hear about your husband. I’m glad, though, that you can feel him with you when you read the books; that’s a lovely thing to hear. Roger “knows” his father didn’t make it back, because he was two years old at the time and hadn’t seen his father since he was born; he had no idea that Jerry a) came back and b) died in the Tube station collapse. As to whether the future can be changed or not, that’s a conundrum that occupies the minds of our time-travelers quite a bit. My own theory is that yes, things quite possibly can be changed–but only small, personal-level things that don’t involve a lot of people. As Jamie points out, Claire’s changed the future dozens of times, by having saved people who would otherwise have died (and perhaps killing one or two who might have lived, if not for her–like the Comte St. Germain (if, of course, he’s really dead….)). But I think they _can’t_ affect the outcome of an event that’s the result of a lot of people pushing in assorted directions–more than likely, Culloden would have happened even if they could have brought themselves to kill Charles Stuart, because so many other people and forces were working toward that end. Whereas, if Jamie had taken Murtagh’s advice and slit Charles throat two years before, in Paris…. But the bottom line is that the time-travelers _don’t know_ what the effect of their presence may be…but they have to act, anyway. And the same exact thing is true of all of us, whether we’re time-travelers or not. No, of course Young Ian isn’t dead, the very idea…! 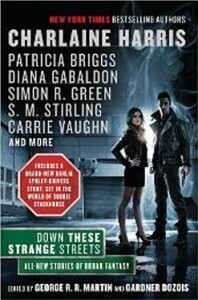 I know there are a couple of excerpts posted (on Facebook, at least) featuring Young Ian and Rachel. Miss Diana: Master Raymond is one of your most intriguing characters. A master time traveler! I wonder if his body still ages at the usual rate? Is he related to the other time travelers? I am also intrigued by what Claire’s early life with her uncle might have have been like before she met Frank. I so appreciate the wealth of historical detail you use. Otherwise I would not have gotten past book one. Glad you’ve been enjoying the books! As for Master Raymond, I’m pretty sure his body ages at the same rate as anyone else’s; that seems to be true for the time-travelers we know more intimately. And yes, he is indeed related to some of the time-travelers we know; we’ll likely find out a bit more about that as the story evolves. Claire’s life with her Uncle Lamb was that of a world-roaming academic adventurer; hence her non-squeamish attitude toward things, and her essential self-confidence and sense of competence in unusual situations. I would never have pressured you but I do check to see how it is coming along! I so enjoy the Outlander series (along with my 87 year old mother who is the one who got me started years ago!) that I do understand why readers become anxious. Your writing is amazing and exciting and totally satisfying to read. I look forward to the novellas and will purchase for my mother also. Thank you! Thank you! Thank you! The pressure from readers is just an accolade to your talent! As one of the many dedicated readers/fans, I have searched out each of the novellas and short stories in order to have more the Outlander/etc. universe to enjoy. Having done so, SEVEN STONES TO STAND OR FALL is a frustration since it only offers two new stories. Maybe your publisher is being greedy here, but I resent the full price of the book/electronic edition for only two unpublished stories. It’s not publisher greed that inspired SEVEN STONES TO STAND OR FALL, but requests from Diana’s readers from around the globe. 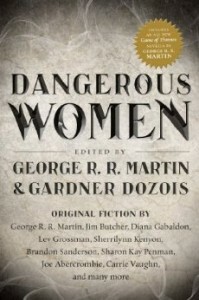 The five previously published novellas in SEVEN STONES were scattered through both space and time, appearing first in various multi-author anthologies by different publishers in different years. All are becoming harder to find, month by month. 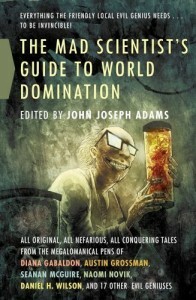 A few stories were made available as ebooks in some countries, not in other areas. 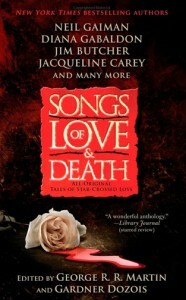 So this book collects five of Diana’s beloved works of short fiction into one volume, plus adds two brand new stories. I like the Master Raymond character. He would be a good main character for his own series. Look forward to it! Hello Diana….I would just like to thank you for bringing Brianna, Roger, Jem and Amanda back to Fraser’s Ridge, for Xmas for me….. I waited all through the book wondering whether they would make it back….and yes on the last page it happened….don’t how of course? ?….but I look forward in anticipation to your next book to find out how.. Thank you Diana! My sister turned me on to your books and I am really enjoying the history part. My sister is a very avid reader and lets me know when she comes across a “good one.” We have something more than kids to talk about. It has led me to try and learn more about history both in America and Europe. My brother also listened to the series and he has been putting together our family history. He has been inspired by your books in this direction and shares with us sisters. We have a whole line of family ancestry we never would have known about. My husband is also a fan and watches and has listened to the books with me. We enjoy them together as a couple. They offer more than just chick flick material. Thanks again for your creative stories that have become more to our family. Looking forward to future books but will wait for the “finished product.” Every artist has their time! I picked up your books for the first time in March 2016, and sped read through all of the major Outlander books in just a few short months. I am now starting the Lord John series. Needless to say, I am enthralled. What first drew me to the books is that I am a Fraser! My grandmother was Nancy Fraser, and she hailed from Canada. Since reading your books I have a new appreciation for our family history; and, my husband and I are heading to Scotland this spring to learn more about my Fraser heritage. I want to thank you for writing these amazing novels, and sparking my interest in the Scottish Frasers, i.e. my family! Another interesting note (that I think you might find intriguing) is that my husband’s name is Sam Sykes! – Too many coincidences to handle! I love all of your work, and I am looking forward to the next novel!